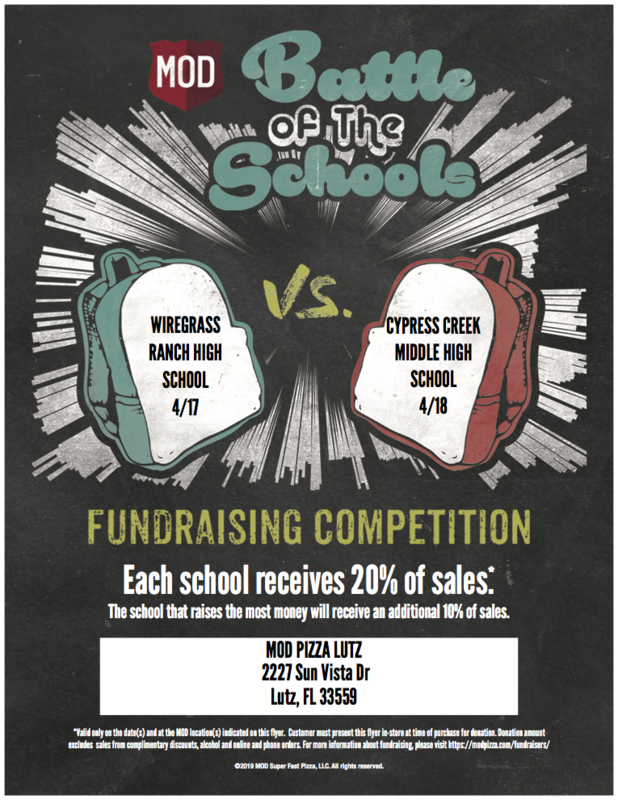 Join us this Wednesday, 4/17 at MOD PIZZA LUTZ 2227 Sun Vista Dr Lutz, FL 33559 for our 1st Battle of the Schools. This is a school wide fundraising event where we can earn 20% of the sales for this day. We are competing with Cypress Creek Middle High School. The winner between the two schools will also get an additional 10%. See Flyer for details.